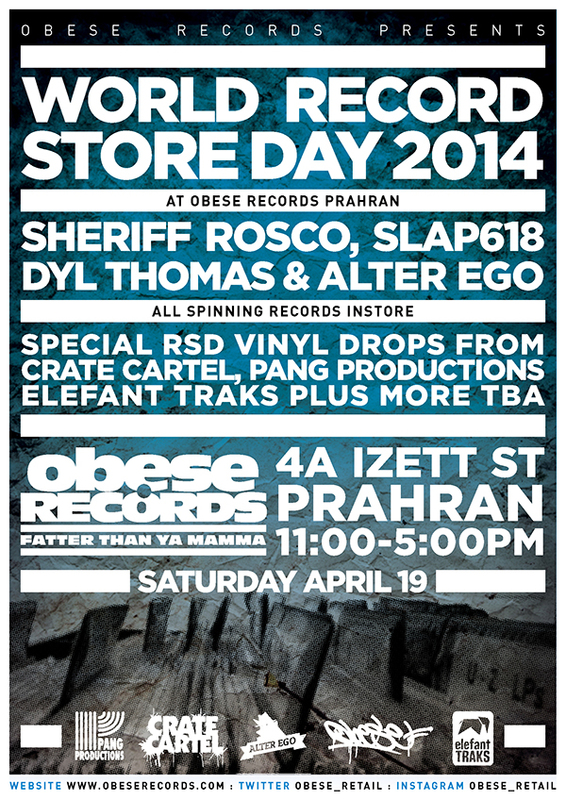 This year the crew at Obese Records Prahran will have local DJs and producers – Sheriff Rosco, Dyl Thomas, Alter Ego and Slap618 – dropping by to spin a selection of hip hop, funk, soul and more. Expect limited edition RSD releases from local labels Crate Cartel, Pang Productions and Elefant Traks plus (fingers crossed) some US stock. BURN CREW have printed a limited edition RSD t-shirt exclusively for the store and available on the day.